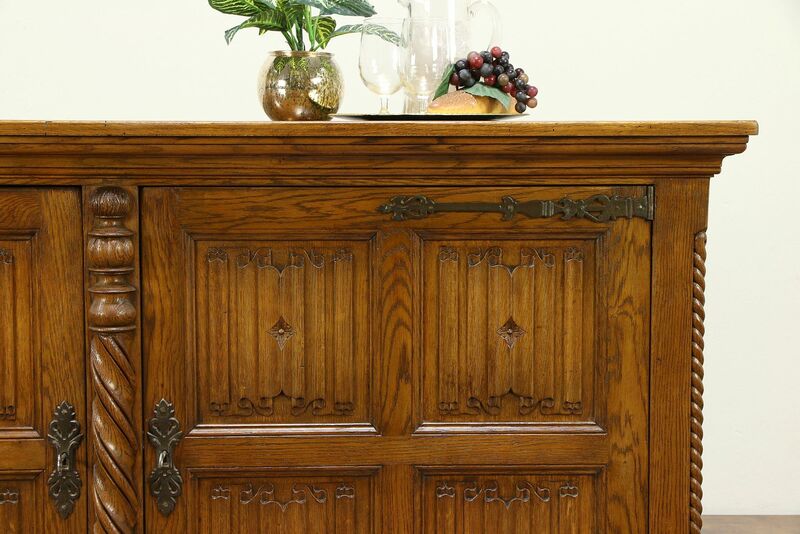 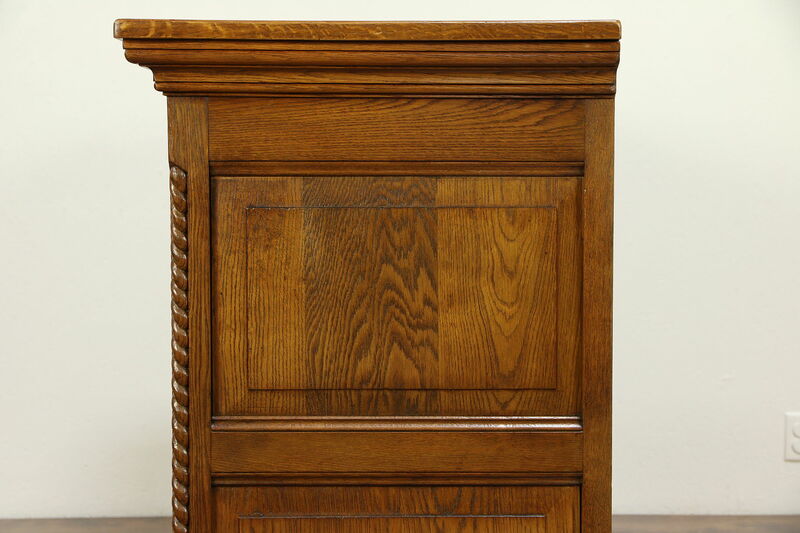 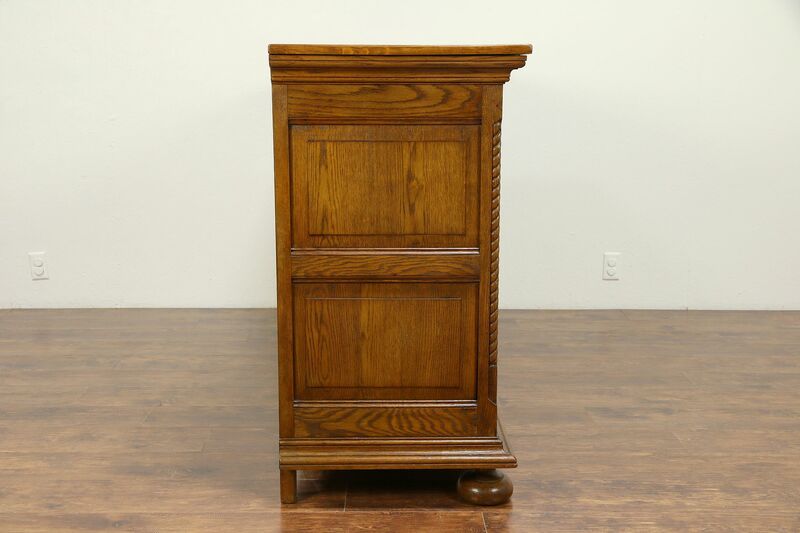 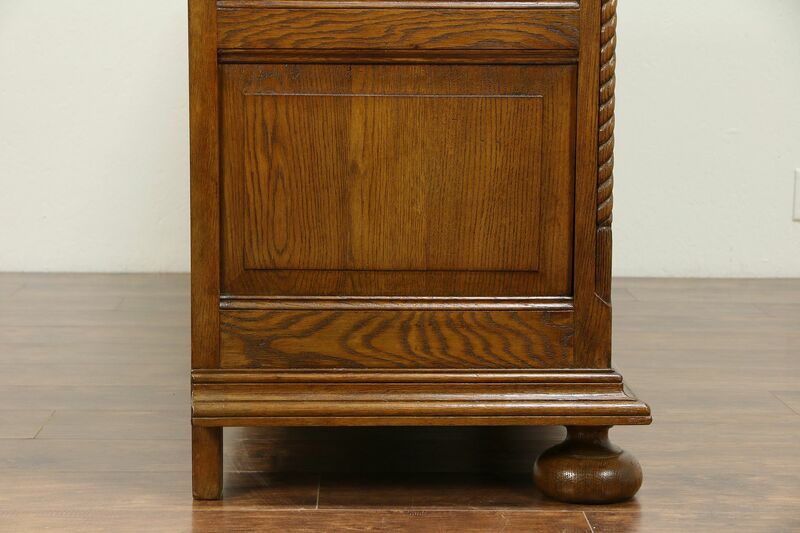 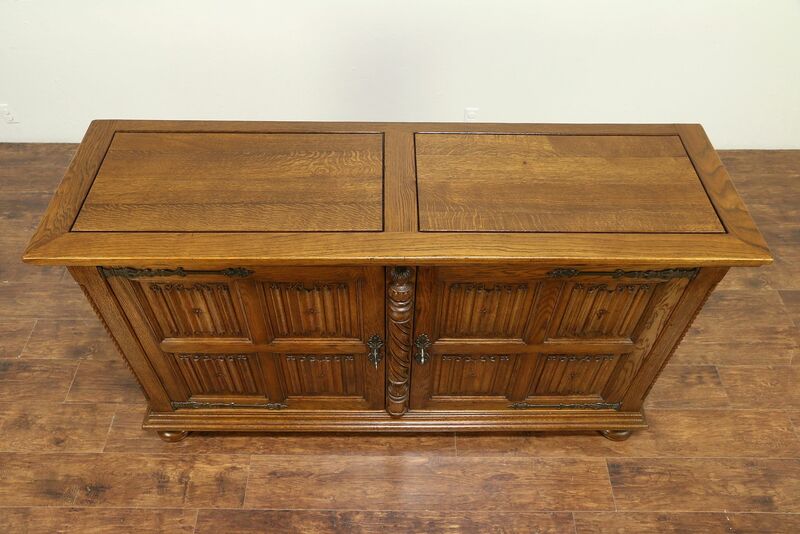 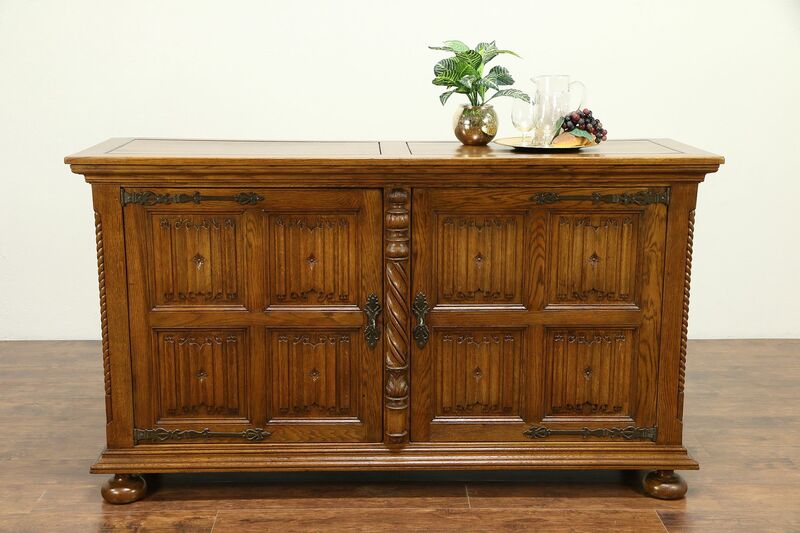 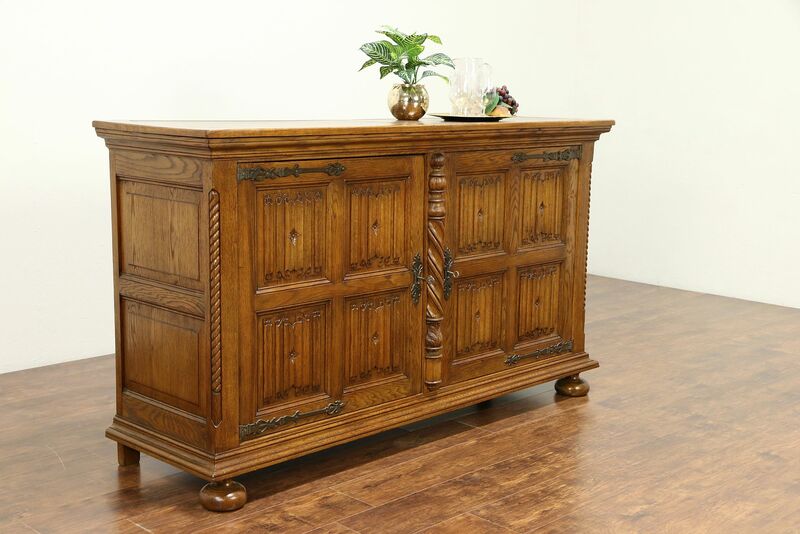 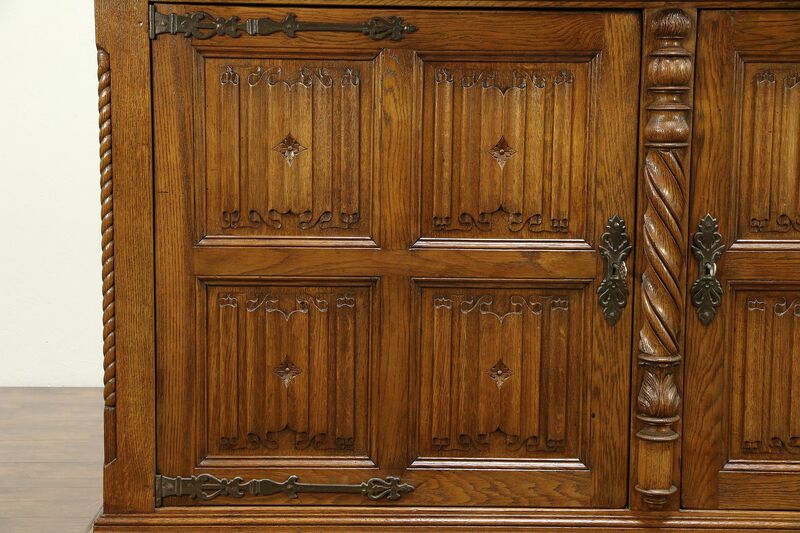 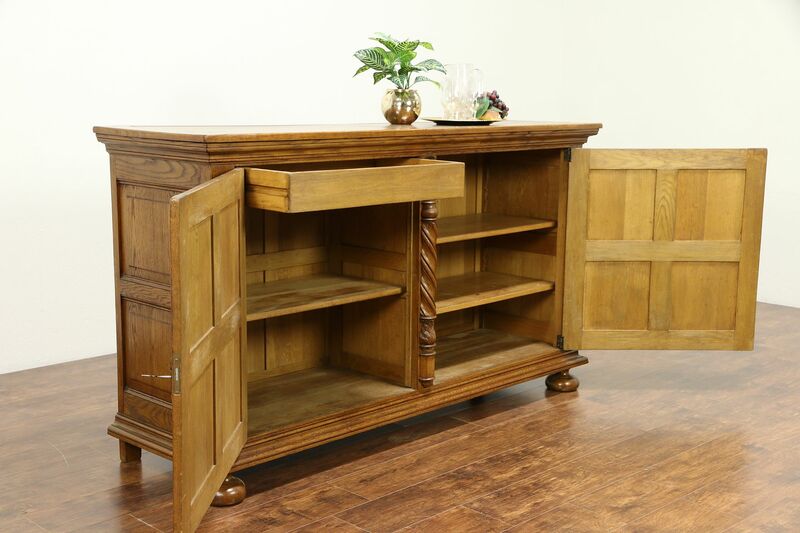 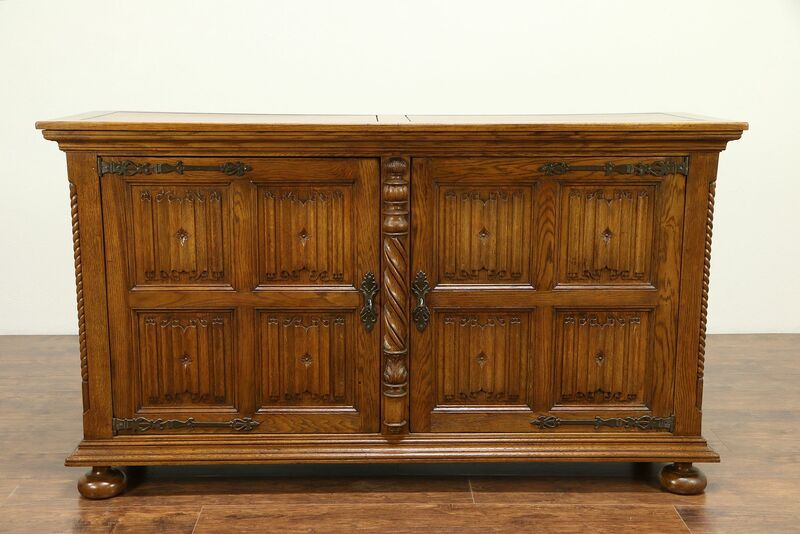 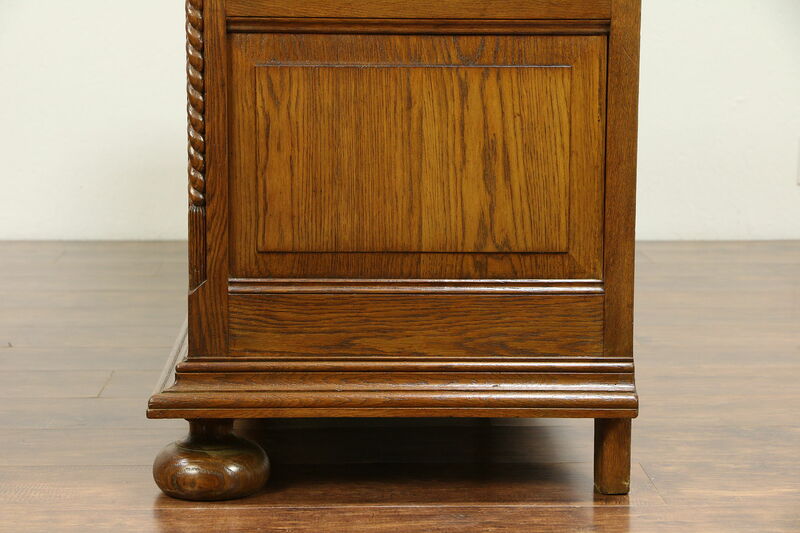 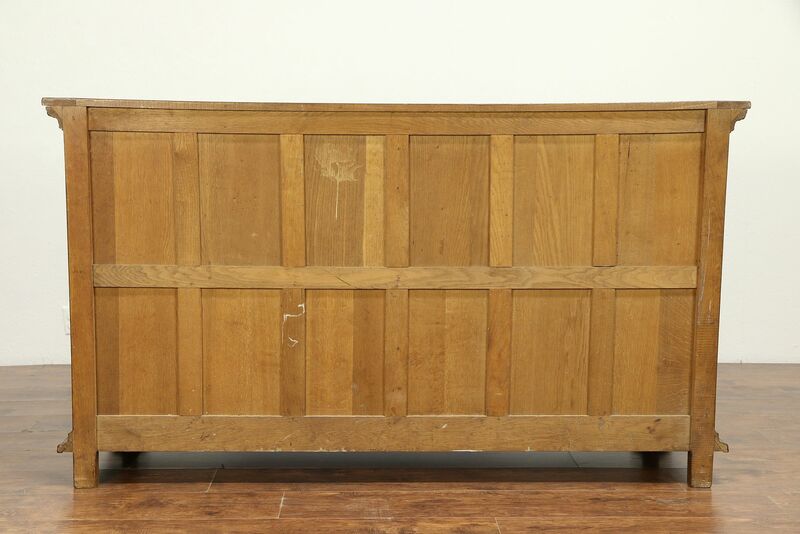 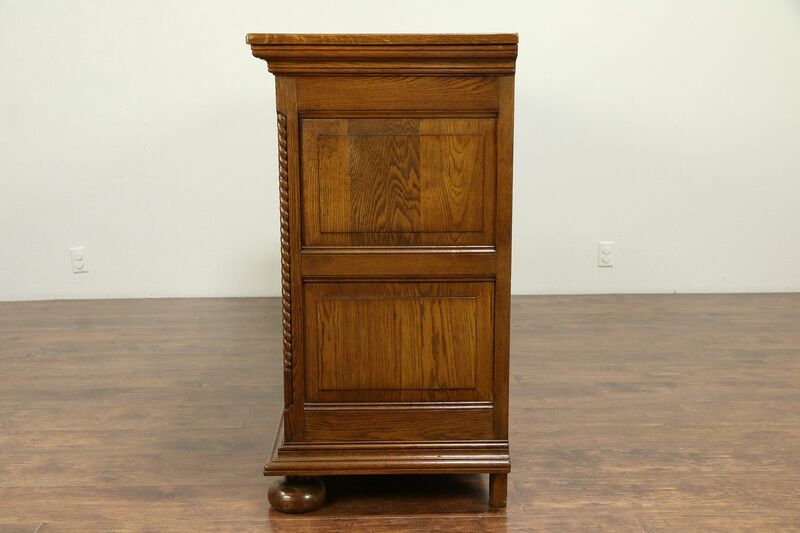 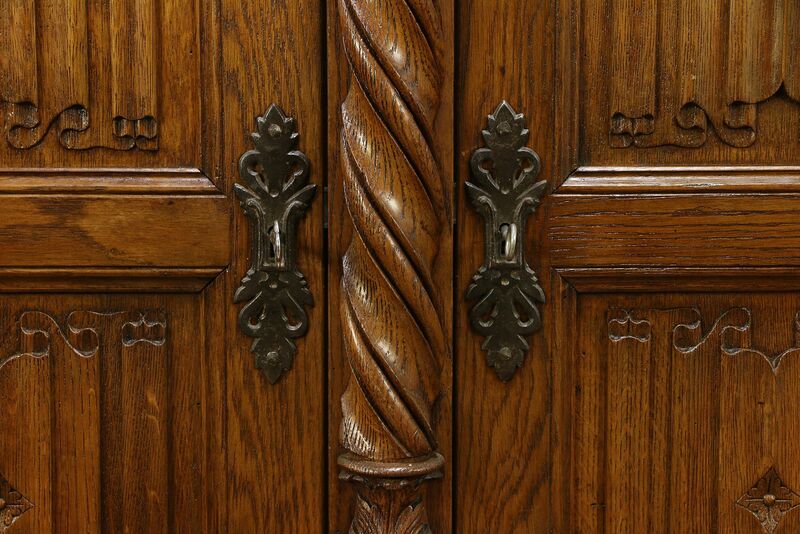 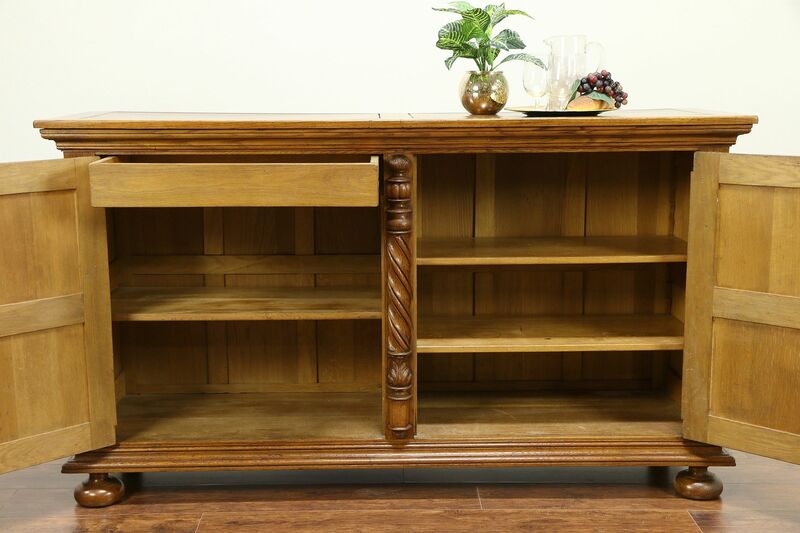 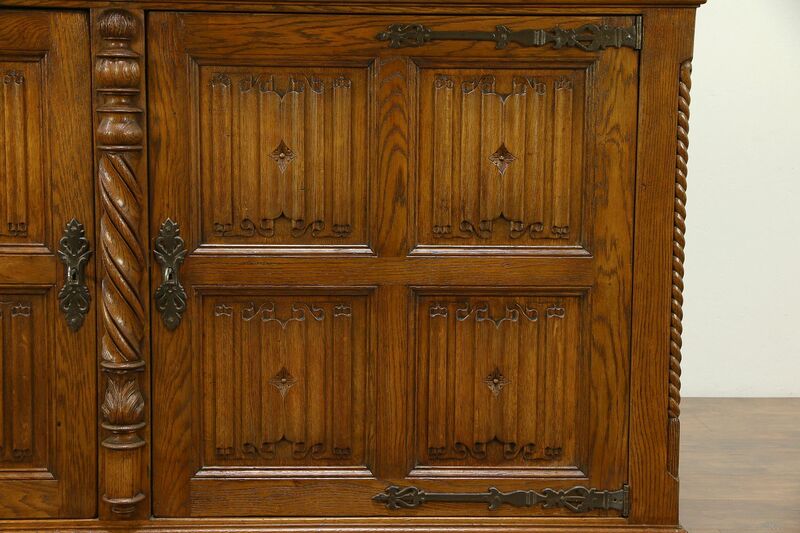 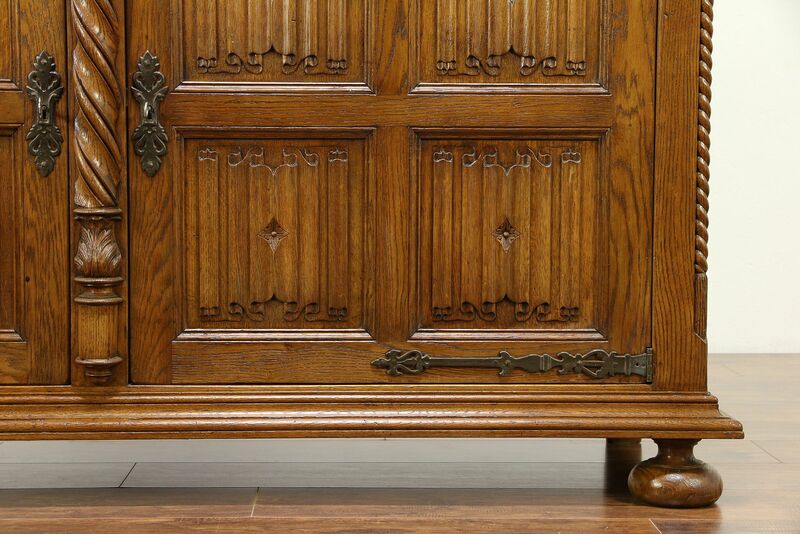 This splendid solid oak cabinet was richly carved in the Renaissance manner about 1900 in Holland. 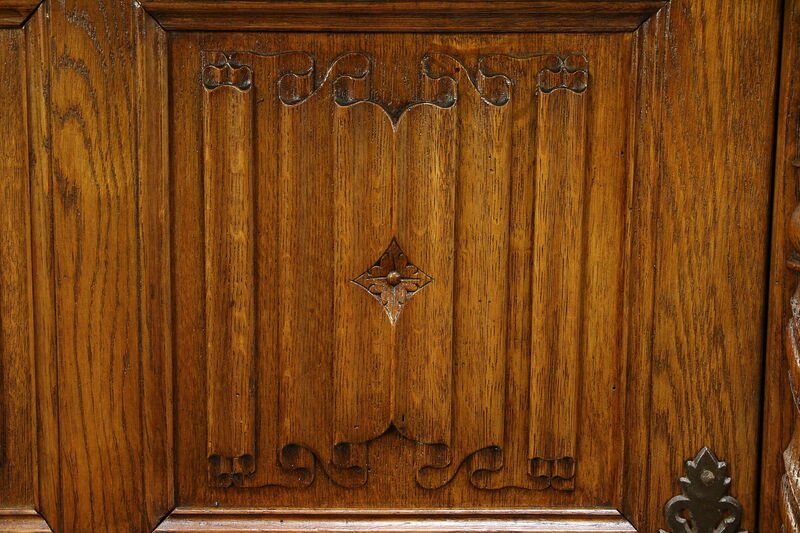 "Linen fold" panels, bun feet, raised side panels and rope moldings are authentic. 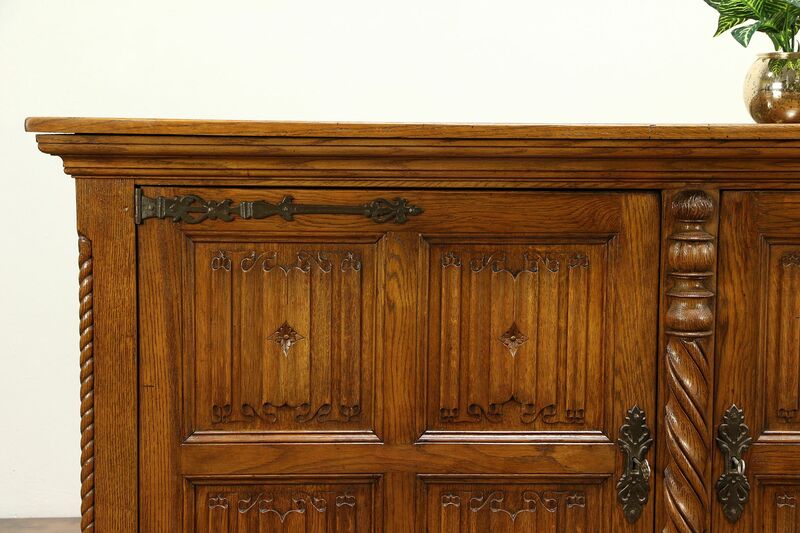 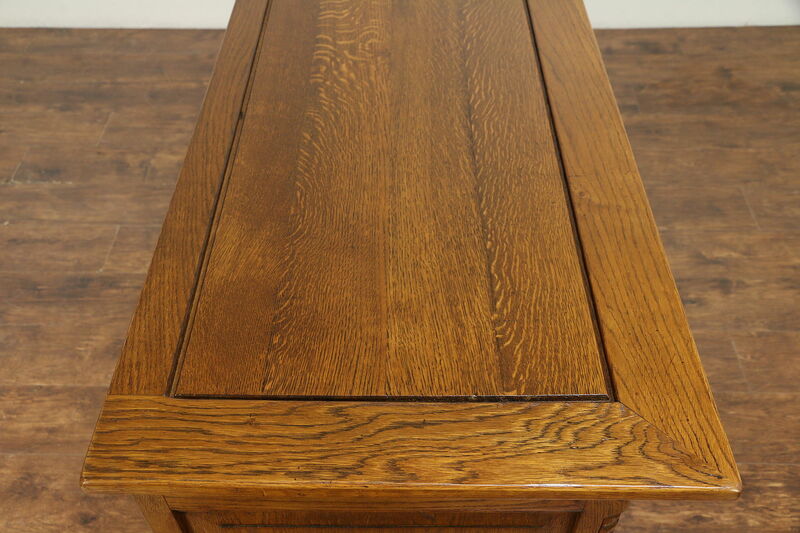 The top has been revarnished for durability, the rest of the original finish is very well preserved. 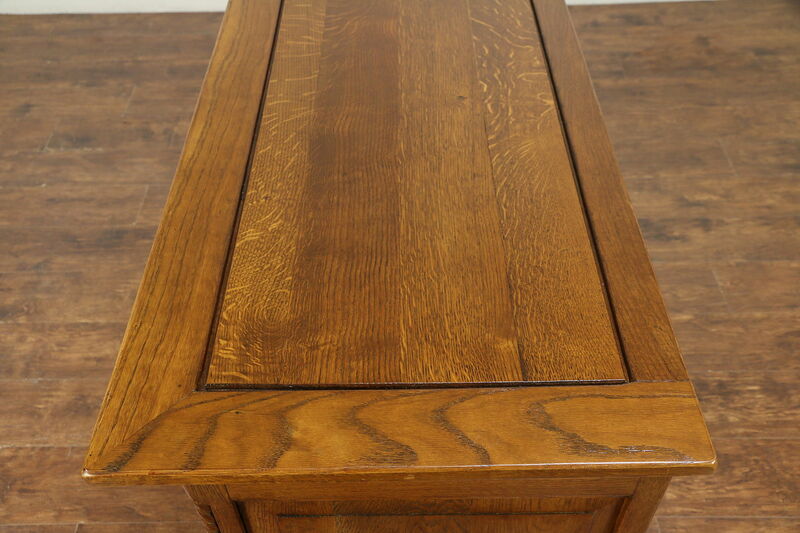 Waxed and buffed, all that is needed to maintain the soft luster is an occasional wipe with a soft dry cloth. 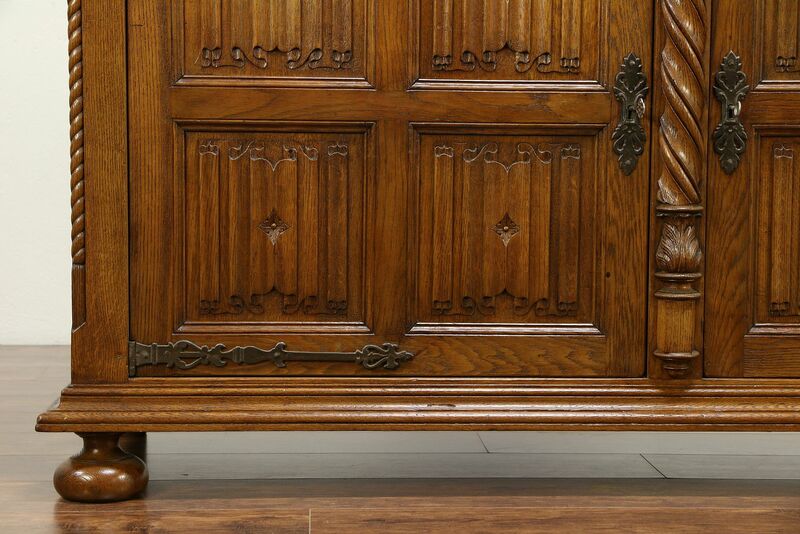 Wrought iron hardware and working locks are original on this Dutch antique furniture. 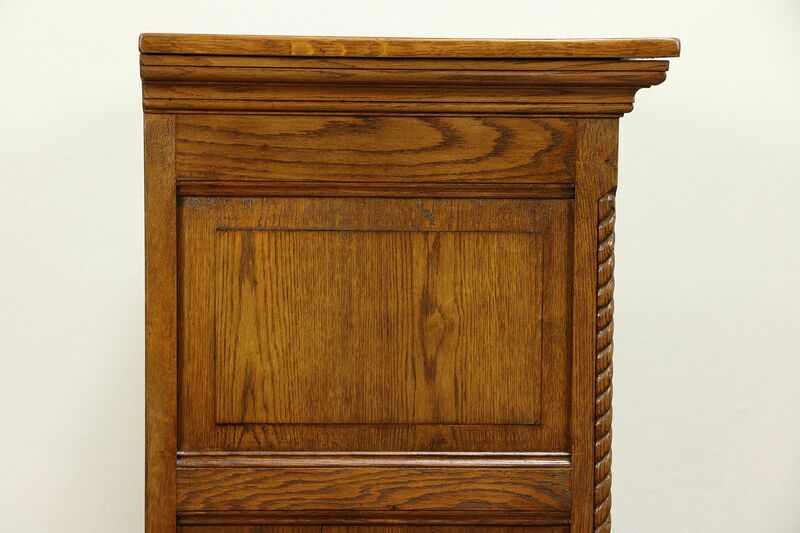 Measurements are 6' 1/2" wide, 22" deep and 40 1/2" tall.